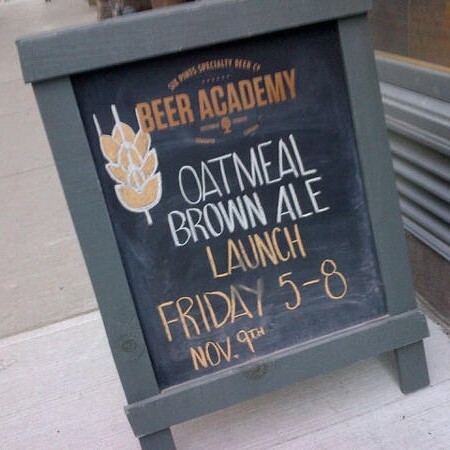 TORONTO, ON – Beer Academy, the street-level brewery and beer education centre owned by Molson‘s Six Pints Specialty Beer Company, is launching a new beer today in its tap room and retail store. Oatmeal Brown Ale will be available on draught in the Beer Academy tap room, and to take home in growlers and 600 ml bottles, starting at 11 AM today. A launch party will take place from 5 PM to 8 PM, featuring food from An Sibin Pub and live music by Shawn Brady.